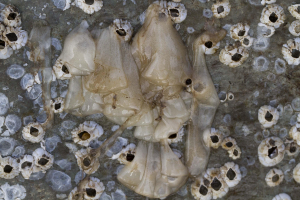 Observation - Possible egg cases of marine creature - UK and Ireland. Description: Whitish slightly transparent appearance. Possible faint spots. Whitish slightly transparent appearance. Possible faint spots.